Joseph resisted and asked the Lord for direction, who replied by forbidding Joseph from allowing the manuscript to leave his custody.3 After Joseph’s third request, the Lord finally allowed the 22-year-old seer to give Martin permission to take the manuscript, but commanded that he show them to only four specific people. Joseph later recalled that covenantal language was specifically invoked between Martin and the Lord on this occasion.4Martin left Harmony and returned to his home in Palmyra, New York. 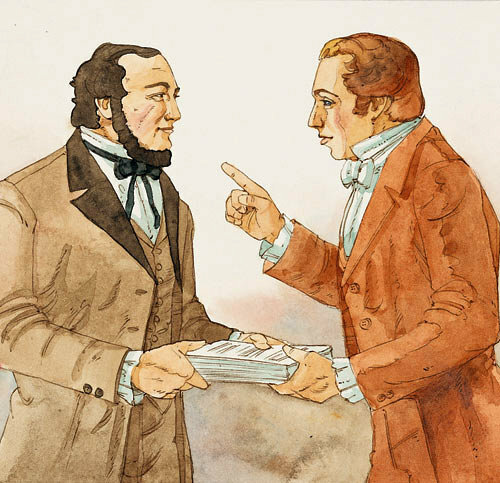 Joseph Smith giving Martin Harris the 116 pages of the manuscript. Image via lds.org. An Angel Showing the Gold Plates by William L. Maughan. 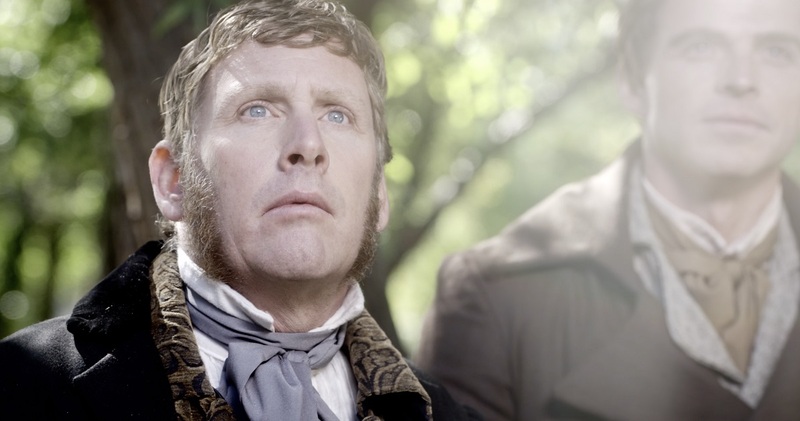 Both Joseph Smith and Martin Harris learned many important principles about repentance with the episode involving the loss of the 116 pages.17 Consider just four of them. First, they learned that there are sometimes dramatic and enduring consequences to our sinful actions—actions that we otherwise might think aren’t very consequential. The loss of the Book of Lehi and additional material from the Book of Mormon has left an indelible, negative impact on the history of the Restoration.18 Thankfully, the Small Plates of Nephi covered some of the material lost in the 116 pages (Words of Mormon; D&C 10), and Joseph was instructed not to retranslate the lost portion of the plates of Mormon.19 Nevertheless, even though the disastrous consequences of Joseph’s and Martin’s poor decisions cannot be fully undone, the Lord could forgive and forget. Second, both Joseph and Martin learned that each man and woman would be punished for their own transgressions, and are individually accountable before God for their actions. “Joseph dealt with some ordinary follies of youth,” observed John W. Welch. “He also learned some extraordinary lessons about accountability, especially when Martin Harris lost the 116 pages of the Book of Mormon manuscript and, as a result, the power to translate was taken from Joseph for a season. Through these experiences, he learned firsthand the foundational principles of agency, choice, and accountability.”20 He did not and could not blame someone else. Third, while Joseph and Martin learned from painful personal experience the full weight of agency and accountability, both men also learned that it is through obedience to the laws and ordinances of the Gospel and through the Atonement of Jesus Christ that repentance works. This KnoWhy was made possible by the generous support of the Bill and Linda Perry family. Susan Easton Black and Larry C. Porter, Martin Harris: Uncompromising Witness of the Book of Mormon (Provo, UT: BYU Studies, 2018). Matthew McBride, “The Contributions of Martin Harris: D&C 3, 5, 10, 17, 19,” in Revelations in Context: The Stories behind the Sections of the Doctrine and Covenants, ed. Matthew McBride and James Goldberg (Salt Lake City, UT: The Church of Jesus Christ of Latter-day Saints, 2016), 1–9. Larry E. Morris, “The Experience of the Three Witnesses: D&C 17,” in Revelations in Context: The Stories behind the Sections of the Doctrine and Covenants, ed. Matthew McBride and James Goldberg (Salt Lake City: The Church of Jesus Christ of Latter-day Saints, 2016), 25–32. John W. Welch, “The Articles of Faith and the Life of Joseph Smith,” Ensign, December 2013, 70–75. Richard E. Bennett, School of the Prophet: Joseph Smith Learns the First Principles, 1820-1830(Salt Lake City, UT: Deseret Book, 2010). Dallin H. Oaks, “The Witness: Martin Harris,” Ensign, May 1999, 35–37. 1.See Saints: The Story of the Church of Jesus Christ in the Latter Days (Salt Lake City, UT: The Church of Jesus Christ of Latter-day Saints, 2018), 49–51; Michael Hubbard MacKay and Gerrit J. Dirkmaat, From Darkness Unto Light: Joseph Smith’s Translation and Publication of the Book of Mormon (Provo, UT: Religious Studies Center, Brigham Young University; Salt Lake City, UT: Deseret Book, 2015), 85–92. Emma’s brother Reuben Hale also acted as a scribe for part of the translation during this time. See John W. Welch, “The Miraculous Translation of the Book of Mormon,” in Opening the Heavens: Accounts of Divine Manifestations, 1820–1844, ed. John W. Welch, 2nd ed. (Provo, UT: BYU Studies; Salt Lake City, UT: Deseret Book, 2017), 90–91, 143. 2.Saints, 50; MacKay and Dirkmaat, From Darkness Unto Light, 93; Susan Easton Black and Larry C. Porter, Martin Harris: Uncompromising Witness of the Book of Mormon (Provo, UT: BYU Studies, 2018), 103–111. 3.Saints, 51, citing History, circa Summer 1832, 5, online at www.josephsmithpapers.org; MacKay and Dirkmaat, From Darkness Unto Light, 93. 4.History, circa Summer 1832, 6, online at www.josephsmithpapers.org. 5.Saints, 52–53, citing Lucy Mack Smith, History, 1844–45, book 7, –, online at www.josephsmithpapers.org; Black and Porter, Martin Harris, 112–115; see further J.B. Haws, “The Lost 116 Pages Story: What We Do Know, What We Don’t Know, and What We Might Know,” in The Coming Forth of the Book of Mormon: A Marvelous Work and a Wonder, edited by Dennis L. Largey, Andrew H. Hedges, John Hilton III, and Kerry Hull (Provo, UT: Religious Studies Center, Brigham Young University; Salt Lake City, UT: Deseret Book, 2015), 81–102. 6.Saints, 54, citing Lucy Mack Smith, History, 1844–1845, 9, bk. 7, online at www.josephsmithpapers.org. 7.Lucy Mack Smith, History, 1844–1845, 9, bk. 7, online at www.josephsmithpapers.org. 8.Saints, 56, citing Lucy Mack Smith, History, 1845, 138, online at www.josephsmithpapers.org. 9.See the timeline discussed in Welch, “The Miraculous Translation of the Book of Mormon,” 79–120; “Timing the Translation of the Book of Mormon: ‘Days [And Hours] Never to Be Forgotten,” BYU Studies Quarterly 57, no. 4 (2018): 11–50. 10.See the commentary in Matthew McBride, “The Contributions of Martin Harris: D&C 3, 5, 10, 17, 19,” in Revelations in Context: The Stories behind the Sections of the Doctrine and Covenants, ed. Matthew McBride and James Goldberg (Salt Lake City, UT: The Church of Jesus Christ of Latter-day Saints, 2016), 1–9; Larry E. Morris, “The Experience of the Three Witnesses: D&C 17,” in Revelations in Context, 25–32. 12.Saints, 73, citing Lucy Mack Smith, History, 1844–45, book 8, , online at www.josephsmithpapers.org. 14.History, 1838–1856, volume A-1 [23 December 1805–30 August 1834], 25, online at www.josephsmithpapers.org. 16.Saints, 74, citing Joseph Smith History, 1838–56, volume A-1, 25, online at www.josephsmithpapers.org. 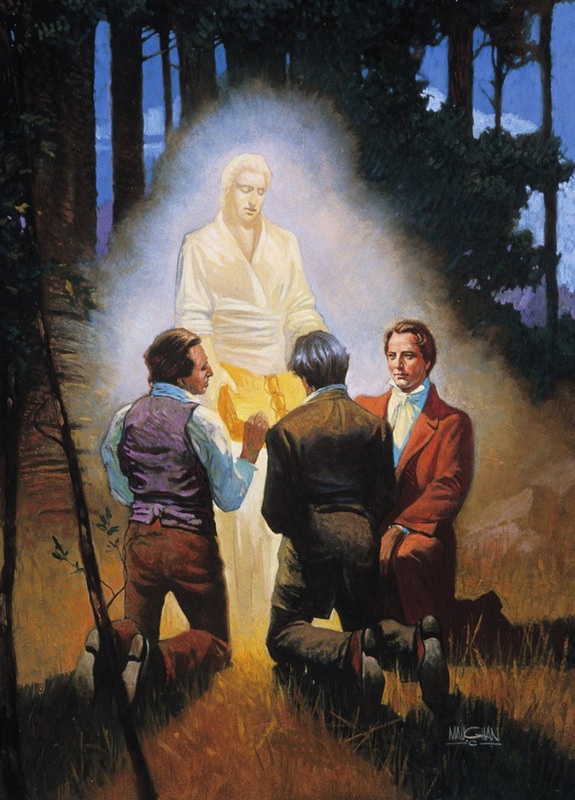 17.See the insightful discussion on this point in Richard E. Bennett, School of the Prophet: Joseph Smith Learns the First Principles, 1820–1830 (Salt Lake City, UT: Deseret Book, 2010), 32–59. 18.See Book of Mormon Central, “What Was on the Lost 116 Pages? (1 Nephi 9:5),” KnoWhy 452 (July 24, 2018). 19.As also explained in the preface to the 1830 edition of the Book of Mormon. 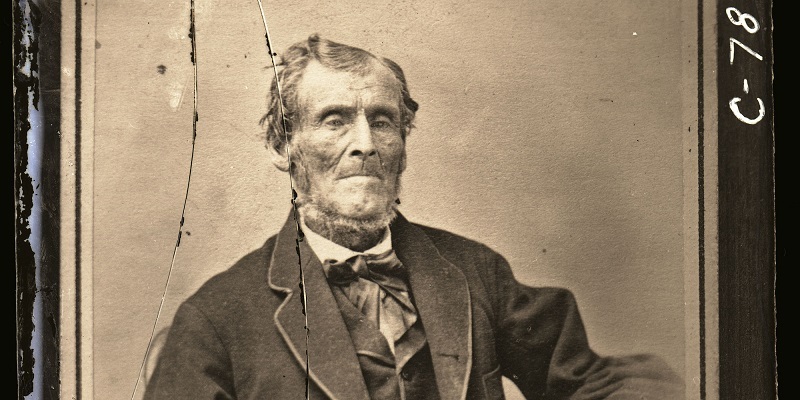 20.John W. Welch, “The Articles of Faith and the Life of Joseph Smith,” Ensign, December 2013, 71. 21.Welch, “The Articles of Faith and the Life of Joseph Smith,” 71. 22.Neil L. Andersen, “Repent . . . That I May Heal You,” Ensign, November 2009, 40–43. 23.Dallin H. Oaks, “The Witness: Martin Harris,” Ensign, May 1999, 37.